Whether you made resolutions or organized a vision board, this time of year is the perfect way to assess where you are in your goals - especially your career. We had the opportunity to chat with Joy Altimore about assessing where you are in your career, what networking sites she believes in and how to have proper growth in your role. It's a great time to see where you are as the Spring is the perfect time to make sure you meet your benchmarks. ATHLEISURE MAG: Tell us about your corporate career and how you got to your current firm? JOY ALTIMORE: I have a uniquely non-traditional path to the C-suite. I started my career in advertising, working at some of the most recognized advertising agencies – Publicis, Ogilvy & Mather – and there I learned so much about both collaboration and leadership. After I left the agency world, I wanted to find an opportunity to impact individuals and culture in a way that authentically represented my passion. I love fitness, lifestyle and technology. I worked at Equinox Fitness, SOLS (an alternative, algorithmic manufacturing company) and now, EHE which allows me to combine all of my interests. AM: What is EHE and what does the company do, how does it benefit our health and what is your role there? JA: EHE is a preventive health company. We specialize in employee health – and we engage healthy employees. We help employers engage their population in a more meaningful way while also assisting the employee on their personalized health journey. My role as Chief Engagement and Brand Officer is to lead the evolution of our engagement strategy to drive interest, conversion and completion of the EHE product. AM: Your positions seem to focus on tackling growth, innovation and challenges across a number of industries - why are these areas essential to the growth of a person and/or brand? JA: Flexibility is essential to growth – you have to be able to take a reflective glance at your contribution, pivot when necessary and provide relevancy so that you can grow as a person. And the same is true of a brand. Nothing exists in absolution. Everything constantly evolves and in order to grow, you must be present to the change and evolve too. AM: We're living in a time of a corporate shift where the need to acknowledge and embrace diversity across experience, gender, orientation etc is truly wanted in the workplace. How does bringing this in as a priority to a company assist in their advancement? JA: According to a 2017 McKinsey report: "Companies in the top-quartile for gender diversity on their executive teams were 21% more likely to have above-average profitability than companies in the fourth quartile. For ethnic/cultural diversity, top-quartile companies were 33% more likely to outperform on profitability." – so the proof speaks for itself. When companies adopt a culture of diversity and inclusion not only is it good for the diverse employee(s), but it’s great for productivity across the board. It speaks to acceptance, transparency and promotes employee engagement at a much more higher level. AM: What career advice do you have for women that are looking to advance in their career whether it's at the same firm, changing fields or even starting their own businesses? JA: Be the best person in the room – not just the best woman. Have a sense of humor, but stay focused on our trajectory without comparing yourself to others. What is meant for you is yours; you do not need to step on someone else nor be jealous of anyone's success in order for you to realize and reach your potential. AM: What is some of the best advice you received that you still utilize to this day? JA: Be yourself. There’s only one you and you’re pretty extraordinary. AM: When working for yourself or others, you're constantly learning from others, what organizations or websites do you suggest as vital to increasing your community that you network within? AM: How important is mentorship and paying it forward by doing so with others? JA: It’s super important to recognize those coming behind you – and offer support and guidance. I think it’s essential to personal growth to identify your potential successor and provide them with the tools/resources so that they can succeed. Mentorship is akin to great management; and great management begins with understanding motivations behind behavior. It’s not that we/they are particularly different than any generation that has come before us/them – there’s always new stimuli, advanced technology, etc. The opportunity is for us to look at those generations that follow us, as we should look at everyone, and figure out how can we meet them where they are and mentor, grow them to where they are able to go. It’s about them; not about trying to have them fit into our ideal construct. 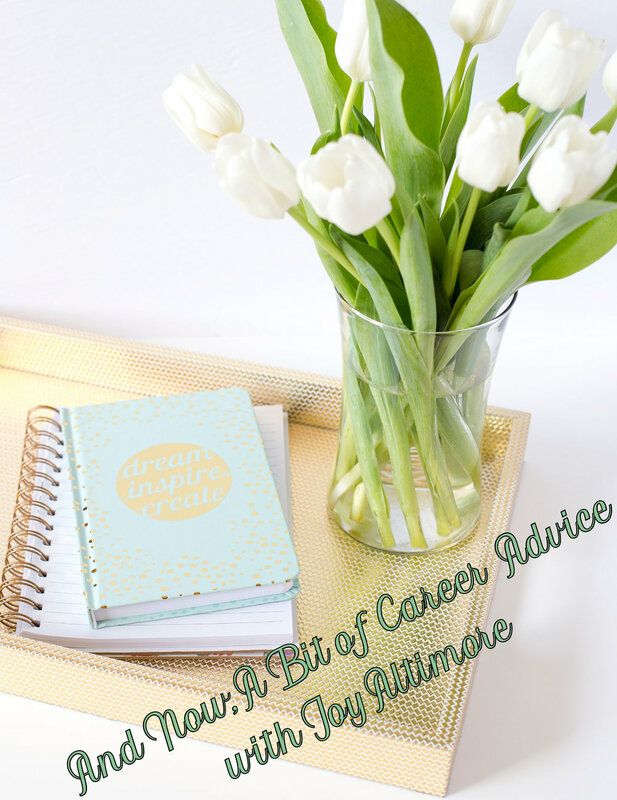 Read more from the March Issue and see And Now, A Bit of Career Advice with Joy Altimore in mag.